Lossburg. The world premiere of the freeformer in October at the leading international K 2013 trade fair caused a sensation in the plastics industry. 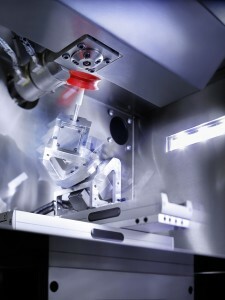 With this in-house developed machine and the Arburg Plastic Freeforming (AKF) process, the market-leading machine manufacturer and expert in plastics processing is taking a completely new approach to industrial additive manufacturing: the production of fully functional components from commercially available plastic granulates without a mould. In order to present the benefits of this innovative processing method, Arburg is making its first appearance at the Euromold in Frankfurt. On exhibition stand E 121 in Hall 11, two freeformers will produce complex plastic parts from one and two components. As an innovative German injection moulding machine manufacturer and expert in plastics processing, Arburg has worked intensively on the additive manufacturing of plastic parts. 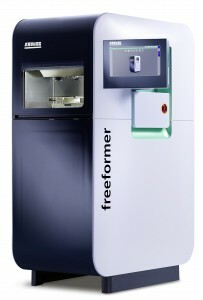 The result is an astounding and unique machine, the freeformer, as well as the new, patented Arburg Plastic Freeforming (AKF) process. As the name suggests, no moulds or predefined cavities are required for the free forming of plastics.With AKF, 3D CAD files are processed directly by the freeformer, standard plastic granulate is melted in an integrated manner as in the injection moulding process and droplets are generated from the liquid melt. These droplets are then used to additively build up the fully functional component layer-by-layer, without requiring a mould. This enables the cost-effective individual manufacture of parts completely without injection moulds from batch sizes of a single unit upwards. As a manufacturer of injection moulding machines, Arburg has taken a practical look at additive manufacturing and has implemented the resulting knowledge in the form of the unique new AKF process. First of all, it was important to be able to use conventional plastic granulates rather than ready-made forms of supply such as powders or strands, which make the material, the processing and therefore also the parts expensive. The minimum material requirement is also a result of the optional 5-axis component carrier with which the part can be produced as far as possible without support structures. This saves on resources and ensures cost-effective production, enabling highly flexible manufacture of functional parts. There is no need to re-invent proven things. This is what the Arburg technicians also thought when developing the freeformer. They provided the new machine with conventional, i.e., tried and tested, material preparation, which operates essentially in the same way as injection moulding. The machine is filled with standard plastic granulate. A heated plasticising cylinder ensures an optimally prepared plastic melt in the so-called discharge unit. This features a patented nozzle closure with high-frequency piezo technology, which enables rapid opening and closing movements in order to produce the plastic droplets under pressure. These join together to form additively the required plastic part. The principle of moving and stationary machine components was re-thought. In the freeformer, the discharge unit and its nozzle remain in a fixed vertical position while the component carrier moves. In addition to a standard component carrier that can move along three axes, a version with five axes is available, e.g. for implementing undercuts without the need for a support structure. The major advantage of the 5-axis version is that no support structures are required as a rule. This makes it possible to form new geometries which may not be realisable in injection moulding. Furthermore, the components are immediately ready for use after manufacture, without any reworking. 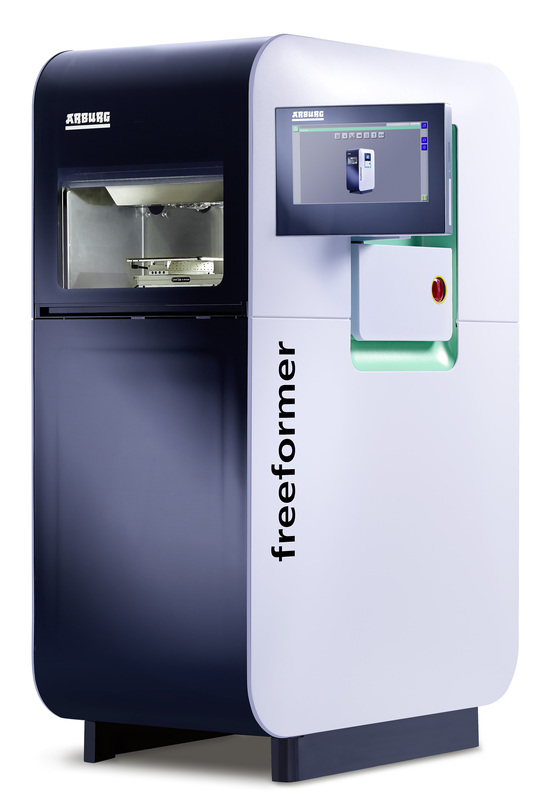 The high degree of processing flexibility was one of the main criteria taken into account during the development of the freeformer. This means, for example, that two materials or colours can be processed on a single freeformer equipped with two discharge units. As a result, even movable hard-soft combinations, for example, or parts with a special appearance or texture can be produced, in which both components are firmly joined. Finally, with the freeformer, Arburg followed strictly the same approach as with its injection moulding machines, making complex technology simple to use and developing it in-house. This makes industrial additive manufacturing brilliantly simple. The parameters required for the layer-by-layer construction of the parts are generated using the in-house-developed freeformer control system. This receives the 3D CAD data for the components to be manufactured in the form of STL files, processes it automatically through slicing, and production can start. No special programming, processing knowledge or extensive training is required. The gesture-controlled multitouch screen makes working with the machine even more enjoyable. Effortless, trouble-free manufacture of parts is “simply” great fun with the freeformer. The components are produced on the freeformer by the liquid droplets, completely free from dust and emissions. The machine is therefore suitable for virtually any application environment, whether in production, the office, the design department or a clean medical technology environment. No extraction or filtering equipment is required.Plug-and-play technology means that the freeformers are mobile and can be used universally. The machine is not only highly compact, but also immediately ready for production: Simply plug it in and start manufacturing the parts. 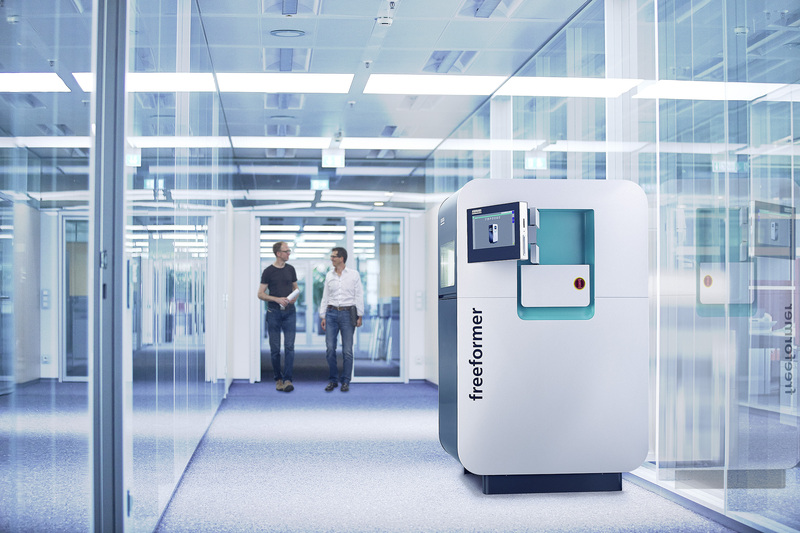 The implementation of the freeformer takes Arburg one step further towards the broadening of industrial production range in plastics processing. While customers have long been able to rely on the company’s injection moulding expertise and therefore on the high-volume production of plastic parts, the same now applies to the cost effective production of small batches down to one-piece flow. High quality, low unit costs and therefore production efficient manufacturing are now also possible in the field of additive manufacturing. Regardless of the industry, the new freeformers and Arburg Plastic Freeforming (AKF) offer exactly the same new freedom to all customers, from the automotive industry through to medical technology or the consumer goods sector. Completely new fields of application are also likely. Two of the revolutionary new machines that manufacture one-component and two-component parts will be on show at the Euromould. Furthermore, a number of animations will explain Arburg Plastics Freeforming and a wide variety of components will demonstrate just what the freeformer can do. The experts from the freeformer team will be on hand to answer trade visitors’ individual questions.